Newbery Medalist Avi carves an imaginative story full of suspense and surprises. For the animals of Central Park, life turns upside down when Big Daddy Duds and his gang of rats move uptown and take over the park. The mayor of Central Park, a squirrel named Oscar Westerwit, is determined to give the park back to its rightful owners-the squirrels, rabbits, and moles. 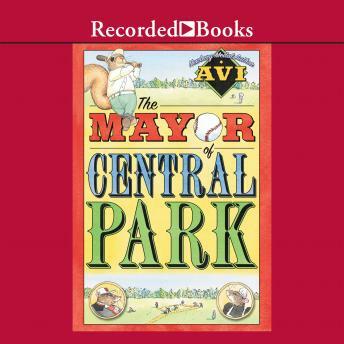 Mark Nilson's lively narration brings to life the critters of Central Park in 1900. Other Avi books include Crispin (RB# 97084) and The True Confessions of Charlotte Doyle.